What happens when your dad is a NASCAR driver and you both share a love for Mario Kart? Well the possibilities seem endless when you dad is Kyle Busch. Yesterday Kyle shared a very cool video on how he created a real live Mario Kart track. Whether you are into NASCAR or Mario Kart you will really enjoy this video. Here at Life of Dad we love the bond that Kyle has with his son Brexton. 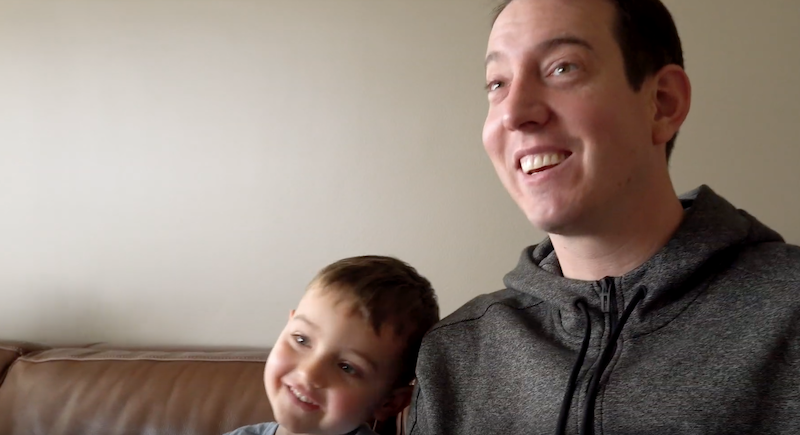 Check out the video below and also click here to check out my interview with Kyle where he talks about fatherhood, NASCAR and more.